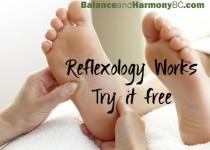 Becky Cobb is a certified reflexologist and vibrational energy worker. She combines sound, oils, flower essences, and crystals with her body work allowing your body to align to higher vibrations and self healing. Her current focus is on how emotions and stress interfere with our ability to be happy and healthy. Balance and Harmony supports environmentally friendly lifestyles and uses soy candles, green detergents and natural body products. All material provided on this website is provided for informational or educational purposes only, and is not intended as a substitute for the advice provided by your healthcare professional or physician. Balance and Harmony does not diagnose illness, prescribe medical treatment or pharmaceuticals, nor do we perform any type of spinal manipulation.